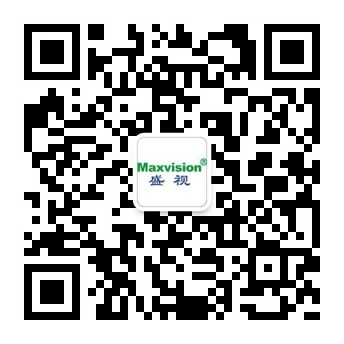 Security wisdom of Maxvision cloud computing - Corporate news - Maxvision Technology Corp. Cloud computing is the product of integration between conventional computer technologies such as grid computing, distributed computing, parallel computing, network storage, virtualization and load balancing and network technologies. A core idea of it is to keep improving the processing capability of “cloud”, thus reducing the processing burdens of user terminals, simplifying user terminals into pure input and output devices and enabling them to enjoy the powerful computing and processing capabilities of “cloud” as needed. For conventional security protection, cloud computing is a network application mode based on networked basic operation. Seemingly, it has nothing to do with the security in the analog era; however, with the digitization and networking of security protection, it is increasingly closer to networks. There is no doubt that cloud computing will bring about a technical reform for the security protection industry, starting the era of smart security protection. Take intelligent face recognition as an example. Based on the pattern recognition theory, the face recognition technology has a history of more than two decades. At present, it has mature products and applications; however, sound applications have high costs. Face recognition has two key points, i.e. a sample database big enough and quick search matching. These two key points have high costs, making it difficult to realize practical application of face recognition on a single computing node, or, in other words, most of the existing DVRs or network cameras with the so-called face recognition function are limited to preliminary identification and have a long way to go for extensive application. However, in the cloud computing mode, front-end equipment only realizes the acquisition, compression and transmission of video signals and sample database establishment and search matching are both realized by the “cloud”. If massive devices are connected to the “cloud”, a sample database can be acquired and established; however, the search matching for faces will need a large amount of computation, which can be solved by the “cloud” by increasing computing nodes. The smart face recognition technology can be really applied through massive storage, a distributed computing capability and a cloud-computing architecture. We know that cloud computing will bring about a technical reform for fields including security protection and the technical reform will influence both “thin clients” and “thin sensors”. Video sensors such as DVSs and network cameras will become “thinner” too because they will need to acquire, compress and transmit video signals only while the “cloud” will realize storage, search and intelligent analysis for video signals. We will see real smart security protection at that time. Since our founding in 1997, we has been following the development law of market economy, keeping pace with technical reforms, strengthening independent technical innovations and improving smart security, particularly the performance of smart face recognition systems, thus forming our unique core competiveness, strengthening our profitability and completion advantages and keeping sustainable and sound growth.